Barbara has over 35 years’ experience in the financial services industry and joined Stratos at its inception in late 2008. She has worn many hats in operations and compliance as the company has grown. She currently oversees broker dealer compliance and holds the Series 4, 7, 24 and 63 registrations through LPL Financial. 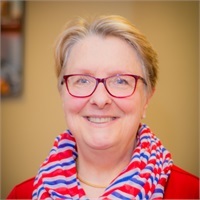 Barbara holds a BSBA from the University of Akron and is active in the Akron community through her involvement with Altrusa International Inc., an international service club with a focus on literacy and individual community needs.